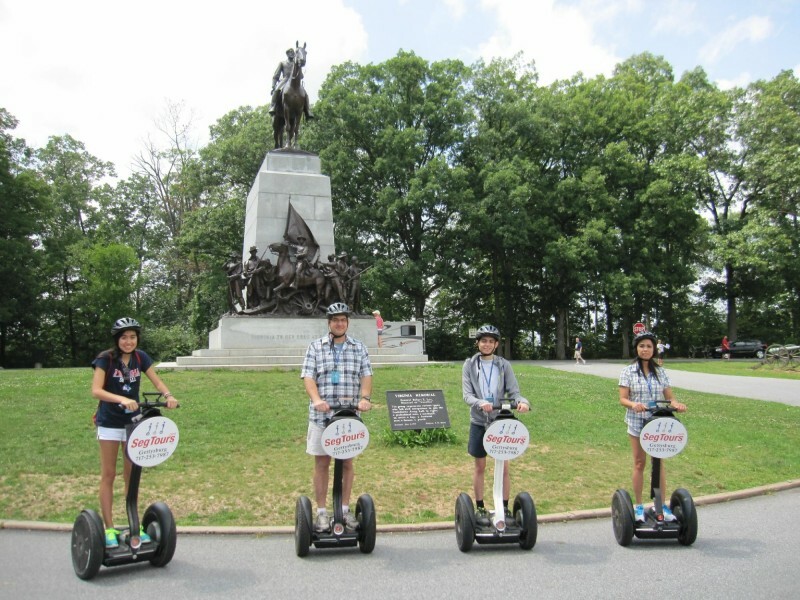 Segway Tours of Gettysburg (SegTours, LLC). Experience the history of the Gettysburg battlefield under the direction of a Licensed Battlefield Guide. Our tours will take you along both Union and Confederate lines, encompass all three days of the battle, and all of the most famous sites, including the Lutheran Theological Seminary in the north, the Seminary Ridge and the Virginia State Memorial in the West, Culp’s Hill and the observation tower in the east, and Little Round Top, Devil’s Den, the Wheatfield, and the Peach Orchard in the south… and the hundreds of monuments in between.